PAR Skincare was developed by CIS Pharma AG, Switzerland, an innovator in the life science industry. 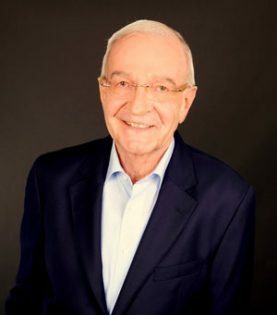 Dr. Rolf Schäfer, former scientific advisor to La Prairie, is the inventor of the formula. He has 30 years of experience in the skincare industry and is an avid mountain climber. PAR Skincare has been specially formulated to address the skincare needs of outdoor enthusiasts. We know that your skin can suffer from the elements – sun, rain, wind and free radicals. By providing a high-performance anti-ageing solution, PAR Skincare allows you to stay out longer, whilst enjoying firmer and smoother skin. We started PAR Skincare because there was nothing comparable on the market. Something that was both technologically cutting-edge, yet outdoors oriented. Something that allowed us to lead an outdoor lifestyle, without worrying about our skin. Being innovators we created our own solution. Consequently the products were tested by Dermatologists using state-of-the-art imaging technology to visualize the anti-ageing effects. Welcome to PAR Skincare. PAR Skincare has been created using stem cell technology to protect, anti-age and rejuvante your skin. Plant stem cells never undergo an ageing process and are equipped with an optimal regenerative power that facilitates plant survival and plant growth. The Edelweiss plant has developed phenomenal defense mechanisms to survive the extreme climate at high altitude in the Swiss Alps. We use these powerful ingredients of Edelweiss plant stem cells in our products. Powerful ingredients of the Edelweiss plant are optimized with power peptides and anti-oxidants for a complete anti-ageing solution. PAR Skincare products are formulated with a high content of active ingredients for optimal anti-ageing effects and rejuvenation of the skin. The ingredients promote production of collagen, elastin and hyaluronic acid, while inhibiting their degradation. Start looking younger today. All you need, with nothing you don’t need. Instead of Parabens we use well tolerable ingredients to preserve our products. The airless dispensing technology prevents contamination of the product when in use. We have simplified complex skincare regimens to the bare – yet most efficient essentials. Two products, one solution.